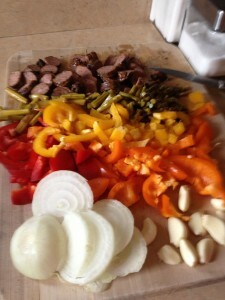 Grilled Italian Sausage, Peppers, Onions and Garlic Eat by Color Style! 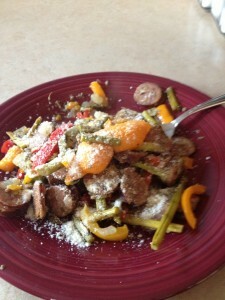 This is a great low carb take on Italian. You do not always need pasta. Swap the pasta in this case for the peppers. Grill the sausage. Then slice. 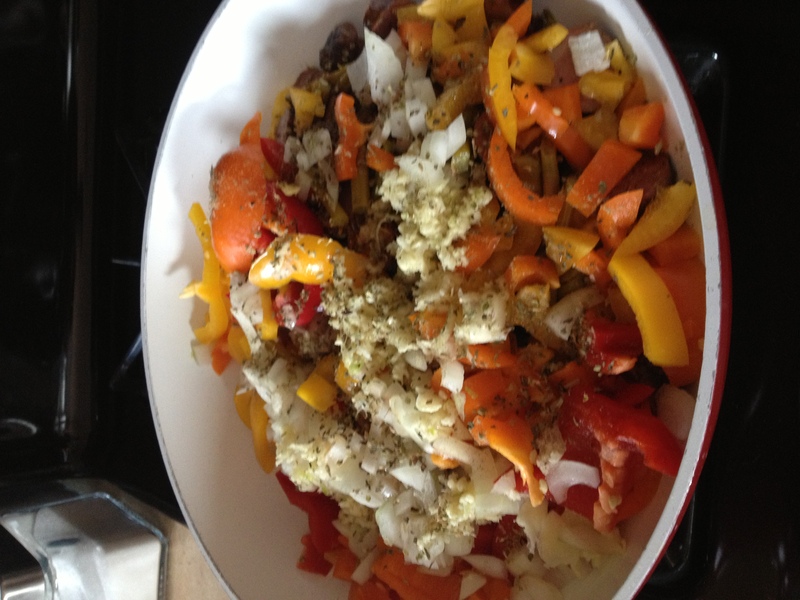 Sautee the vegetables, garlic, and sausage in olive oil. 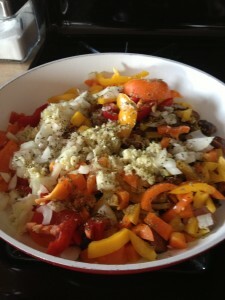 Remove from heat and top with parmesan cheese. Done! Feel free to go crazy and top with your favorite marinara sauce! 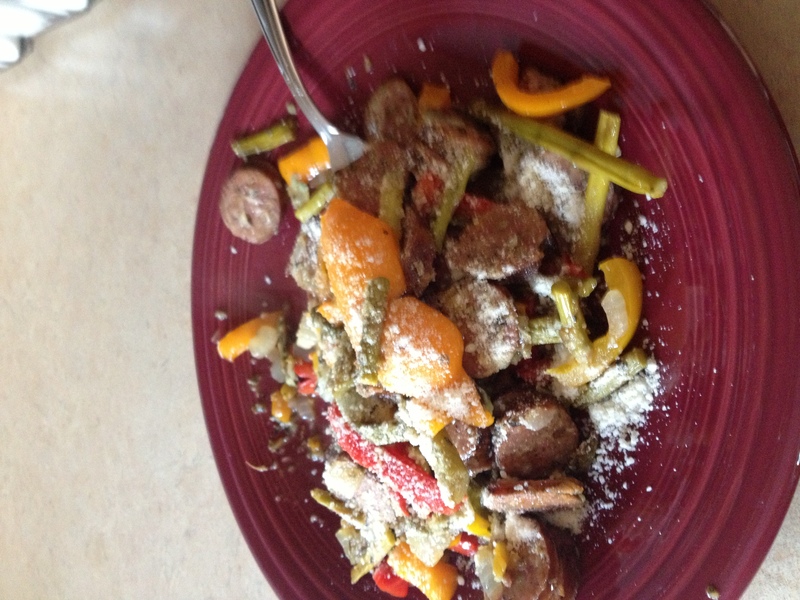 You can also swap chicken breast for the Italian sausage. 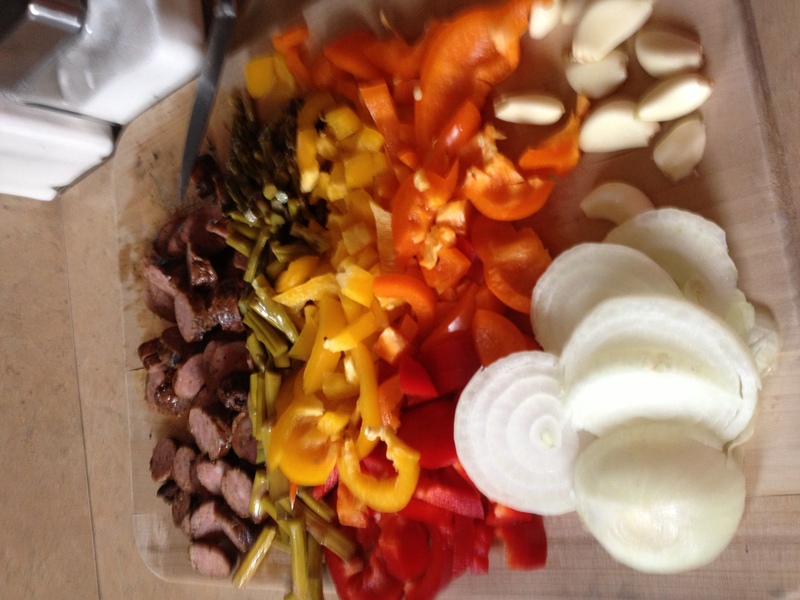 Posted in News, Pork and Other Tasty Grilled Meats and tagged eat by color, low carb italian, low carb italian recipes, low carb italian sausage recipe, low carb pasta, ray binkowski.